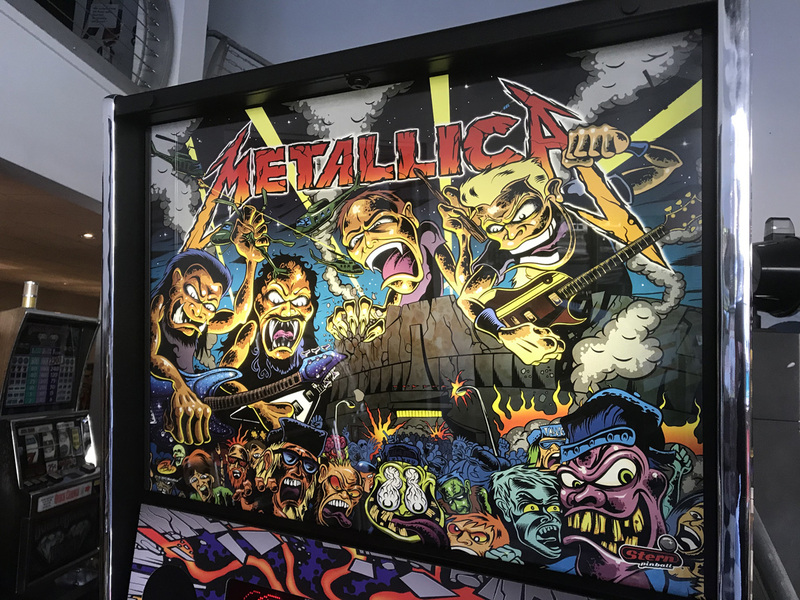 Metallica (Premium Monsters) Pinball Machine * | Fun! 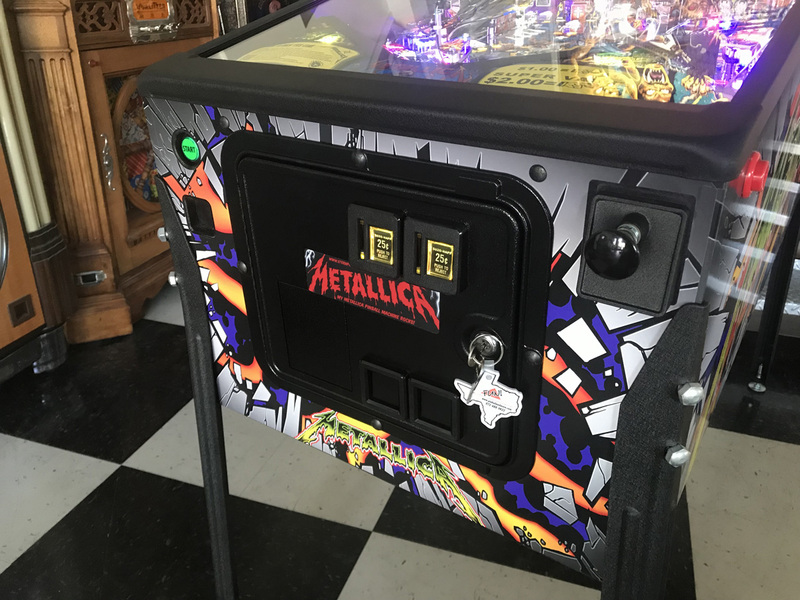 Now out of production and no longer available brand new, we bring you this beautiful one owner, home use only Metallica, Premium Model Pinball Machine. 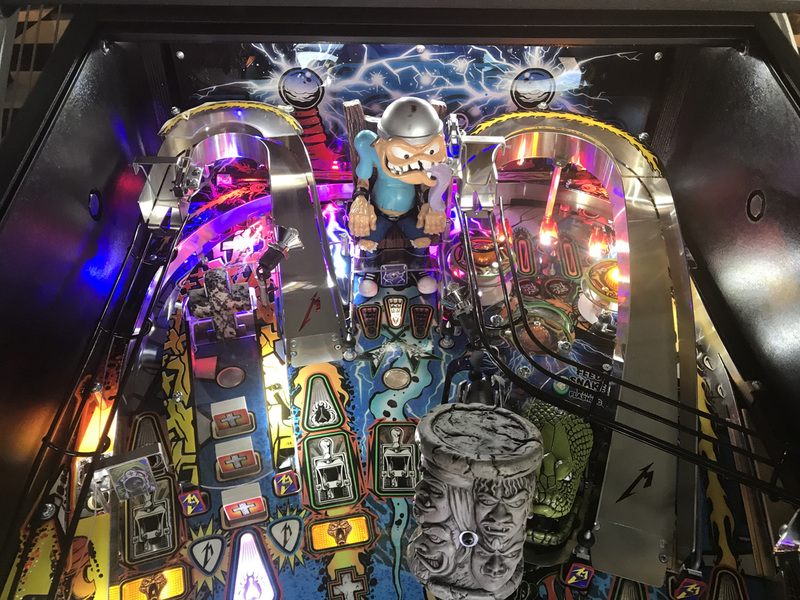 This Metallica Premium was taken in by a local collector. It is a one owner machine that has spent its entire life in someone’s home and never used in a commercial establishment. It is in pristine condition, dare we say MINT condition. 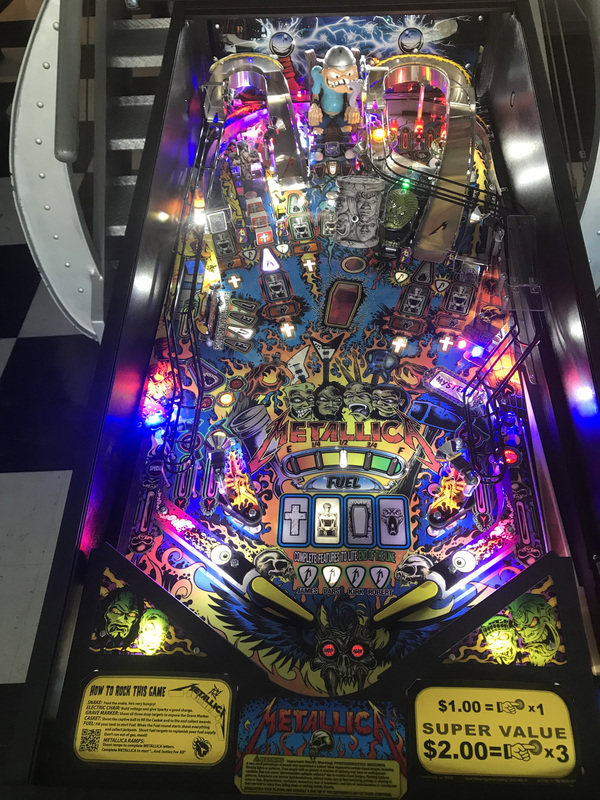 It literally looks like it has never been played and you could eat off of the playfield. Prior to us installing the new software code revision on this game (revision 1.80) the play count was a meter was 87 total plays! We have fully checked out this machine for proper operation and its playing just like a brand new machine should. You will be hard pressed to find a better looking example of this title unless you were to acquire a brand new one and unbox it yourself. 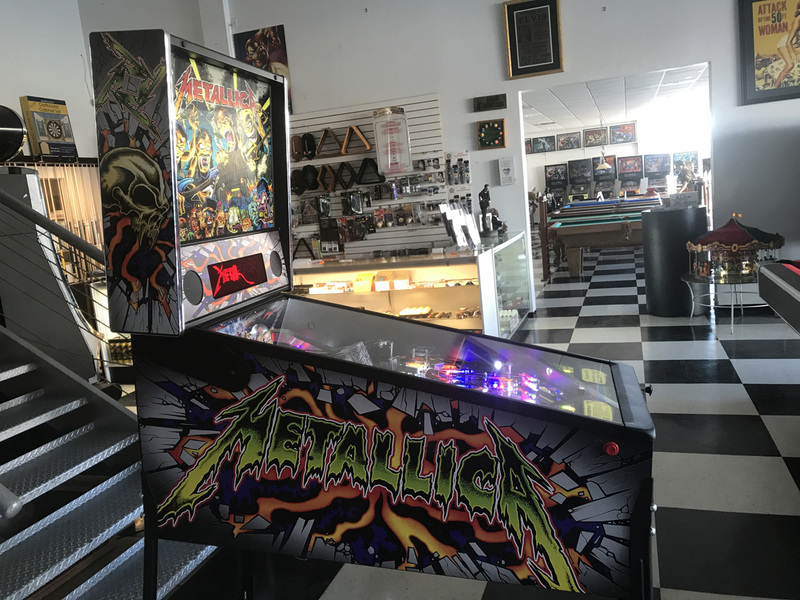 As with all of our pre-owned electronic pinball machine, this Metallica Premium Model includes our 30 Day warranty on the electronics. Metallica’s notoriously fast tempos and aggressive musicianship sets the tone for an exciting player experience. 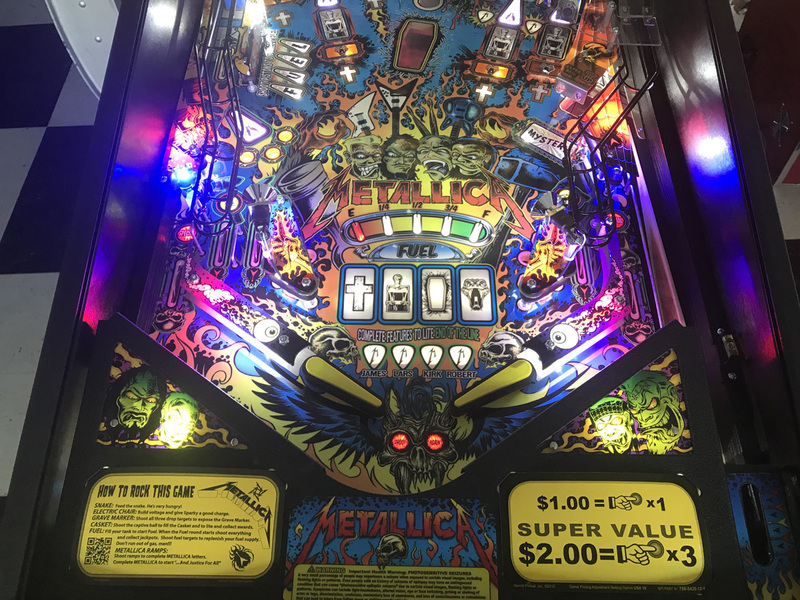 Players will be able to bang their heads and their flippers to 12 classic Metallica hits including “Master of Puppets,” “One” and “Fade to Black.”Other action-packed game features include an electric chair, snake, grave marker and unparalleled magnetic action. 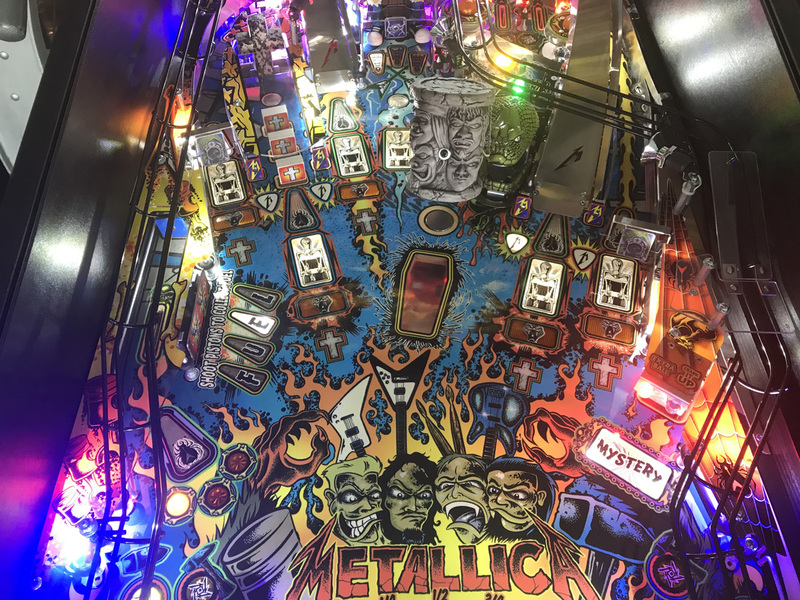 See the Metallica (Premium Models) Pinball Promotional Flyer here. Click here to see the differences between the Metallica Pro & Premium Models.